Last week, I stirred up a hornet’s nest by bringing up the topic of lockboxes and how I really didn’t mind them in general. Hyperspace Beacon and Tamriel Infinium are our biweekly columns on Star Wars: The Old Republic and The Elder Scrolls Online, respectively. Both are penned by Larry Everett. Today’s edition is a mash-up of both. It’s an important topic given that Elder Scrolls Online just released its version of lockboxes in its last update and Star Wars: The Old Republic has run into its share of controversial situations regarding its lockboxes. I’d like to continue that discussion this week. 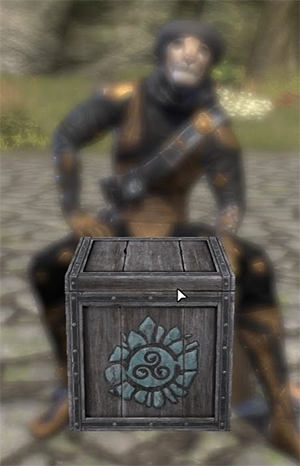 I mentioned in the article last week and many times in the comments that I have some major caveats to how I think lockboxes should work, and I mentioned that neither ESO or SWTOR actually handles lockboxes well. Both have their good points, but neither does it perfectly. This week, I’d like to dive into what could make lockboxes simultaneously viable for studio funding and far less frustrating for the customer. If lockboxes are here to stay, why not try to fix them? Let’s look at three ways to make lockboxes better — for everyone. 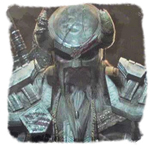 Let me clear up something that seemed more obscure to readers last week than I intended: Axkva Min was not a raid boss when Star Wars Galaxies launched. It took 20 people to kill her, yes, but it was not a challenge. I did mention that getting to her was more challenging, but just navigating Dathomir (the planet she spawned on) was a significant challenge unto itself. And given the way that factions worked in Star Wars Galaxies, players could get to the boss without aggroing anything. Raid bosses in most MMORPGs take time to create and usually include mechanics that make them more interesting and difficult than a random encounter. Designers will labor hours and days over many aspects of creating a raid boss, and I would not equate those encounters to lockboxes. There is a sense of accomplishment in defeating raid bosses, and although it annoys me that some raid bosses do drop super rare items for one person, I can mentally let that slide because it means that the player did accomplish something other than being the first one there at the server reset or camping a spawn longer than anyone else. To give another example of a lockbox NPC, we can look at the more recent example of SWTOR (before it had actual lockboxes). The Grand Inquisitor Robes were a highly coveted armor set whose chestpiece alone sold for about 10 million credits when game launched. And did you have to kill some great boss or traverse some high mountain peak to get it? No, you had to sit in one spot killing the same Talz over and over. The drop rate on the robe was so low that it could literally take you days of sitting at the same spawn before you’d actually get one. Because of the extreme amount of time required, it is just as much a waste as spending $40 on a crate of lockboxes. At least with lockboxes, you have a chance to get other items that are worthwhile, too. Now, let’s turn to my three ways to make lockboxes work. My biggest issue with items in lockboxes is that they rarely have a counterpart accessible through actual gameplay. Some players are time-rich; others are time-poor. I like to view lockboxes as a way for those who are time poor to compensate for not being able to be in the game grinding out items that other players who have time spend can get through gameplay. The problem is that developers use lockboxes as a way to sell exclusive items. Although I’d argue you can get a similar sense of satisfaction by finding a rare item in a lockbox as you can out of finding one in regular gameplay, I believe that gameplay should come first and should promote the same level of satisfaction if not more. If developers want to have exclusive items that have to be purchased — I’ll concede this because developers in 2016 have to make more money than subscriptions can offer — then make it available as a direct purchase as well. Remember how I said last week that lockboxes are gambling boxes. This is part of embracing that. By putting rare items on the market for direct sale, then players have a rough idea of what the stakes are: I could spend $2 with the chance of getting the item I want, or I could spend $15 and be guaranteed to get it, as an example. I could say more — and probably will in the comments — but you understand where I’m coming from: make items available in some other fashion than just the cash shop. I would like to see the figures on how many credits are spent on Cartel Market items on the SWTOR auction house versus how much is spent on other items. In addition to the fact that lockbox items on the trade network are listed for about ten times the going rate of any crafted item, there are far more viable lockbox items than there are items earned in-game. It’s absolutely mind-boggling, and to say that lockbox items have taken over the market is understatement. I’m no economist, but I’m pretty sure the sheer number of items that drop from lockboxes can’t be good for the game’s economy either. From my perspective, it polarizes the market. For every lockbox, there are items that are simply super rare — that’s just the nature of gambling packs. However, this market flood forces down the cost of the more common items and drives up the cost of the rare items. I haven’t even mentioned that launching a brand-new lockbox type every month makes the developer look desperate for money or greedy. 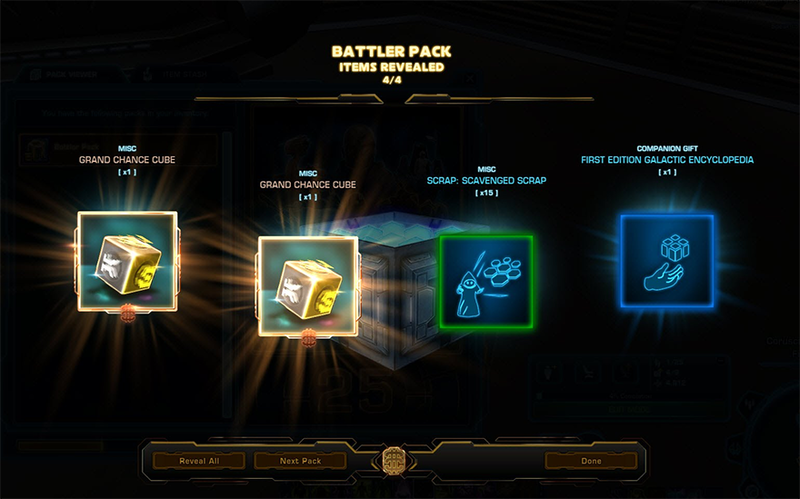 The one thing that Star Wars: The Old Republic got right is that the lockbox items are tradable. It’s true that making items bind-on-pickup does help prevent markets from flooding and possibly allowing for better control on the market. But making items tradable does give another avenue for time-rich gamers to earn the gold to buy items from the cash shop. The other alternative is to make items in lockboxes or maybe the lockboxes themselves available for purchase with in-game money. I don’t necessarily believe that it’s the best option, but it will prevent the game from being controlled by whales. I’m glad there are whales in games, but one of the core aspects of an MMO for me is that everyone has at least a semblance of monetary equality. That’s lost when you give people who throw a lot of money at the game a significant corner on the auction house. There is a lot more to say about all the angles of the lockbox controversy, and I would like to read your thoughts in the comments. What ways can lockboxes be made better? Where do you draw the line? Thanks in advance for keeping this civil as you all did last week.